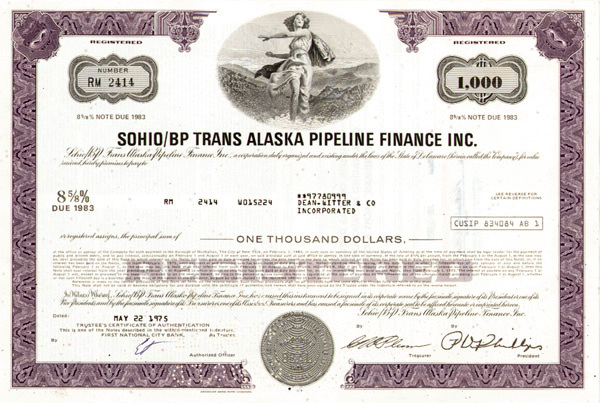 Oil Bond. Various Denominations. Female figure with mountains in background. Important 'Alaska Pipeline'. American Bank Note Co. Rare! Great! Available in Purple, Olive or Orange. Please specify color.